What thoughts would come to your mind if I told you that I met my wife online? Facebook to be specific. I know what you are thinking, “That is the most romantic thing I have ever heard!” Well, it is the truth. However there is much more to that story. It was my freshman year of college, and I was ready to conquer the world. I had a plan for my life, I had good friends and mentors, and nothing could go wrong. Then I got “the phone call”. One of my dearest friends and mentors (the man that is behind me deciding to devote my life to ministry) passed away. I felt crushed. He was the reason I began heading down the path that I was heading, and with him no longer being there to guide me, I felt lost. I spent the entire night in my dorm room, on my knees, praying. Praying that God would fill the void in my life. I never prayed for a girlfriend, never prayed for another mentor, I asked God to give me what I needed. The next day, I met my wife. She went on to tell me that she noticed me across the room in a government class we had together, and thought I “looked like a nice person.” She had been commuting back and forth to school and hadn’t been involved with the college group since she didn’t live in that town. I invited her to our weekly devo at the Bible center. When she got there I took her to a wall with a sign-up sheet and told her to sign her name. She asked what she was signing up for, and I told her a mission trip to Haiti. She signed her name. From that point I understood what this girl was all about. She was sweet, funny, had a beautiful singing voice, and was willing to give up her spring break to go to Haiti (not to mention she was GORGEOUS). I knew that I had to act fast or someone else would try to steal her. I asked her if she would date me, she said yes! I showed my mom the picture of my new girlfriend before they had a chance to meet and my mom informed me that Meagan was “too pretty for me” I agreed, and asked that no one tell Meagan. Our first date was unusual, but I wouldn’t have had it any other way. We went Bible shopping. I bought her a new Bible because she didn’t own a good one for studying, and she introduced me to my current addiction– coffee– from Starbucks. One thing that always stood out to me is that she was CRYSTAL clear with me that she was not interested in a “temporary” relationship. If I was not looking to build a relationship long term, she was not interested. As we grew together, one thing became increasingly clear. God used her to fill the void in my life. I didn’t recognize it the day I met Meagan. Looking back, however, there is no doubt in my mind that God gave me what I needed. I knew I couldn’t allow this gift from God to slip away. I took a letter to Meagan’s boss and told her that I was going to propose. I had her give Meagan the envelope at the close of her work day. The letter was full of all sorts of sappy love stuff. There were also directions, I gave her some silly driving directions that would lead her from her work to my rent house. When she got to my house she opened the door, and there was an aisle of pictures of the two of us laying on the floor. As she walked down the picture aisle I was standing at the end waiting for her. I told her how much I loved her, what she had meant to my life, and that I couldn’t imagine my life without her. I then went to get on one knee (which was awkwardly slow since I just had knee surgery) pulled out the ring and asked “Meagan, will you marry me?” Truth be told… she didn’t actually say yes. She began crying (I’ve been told this is good) and she gave me the best hug I’ve ever received. I then told her she needed to call her mom and let her mom know the news. She pulled out her phone and began to call her mom. Her mom’s phone began to ring in the other room of my house. Her parents and sisters along with my family all joined us in the living room to surprise her. We then went out to Applebee’s to celebrate together. As I look back on the journey we took together, I have no idea why she chose me. But I know why I chose her. I needed a woman who loved me, truly loved me. Because I make mistakes. I needed a woman who loved The Lord. I needed a woman who would help me to be better. She has not ceased to amaze me. She has not ceased pushing me to be better. I love her. I thank God for filling the void in my life, and giving me what I need. 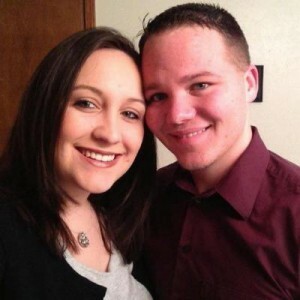 Troy and Meagan currently serve the Northwest church of Christ in Lawton, Ok. They have a daughter (Jacy) and a son (Jagger).